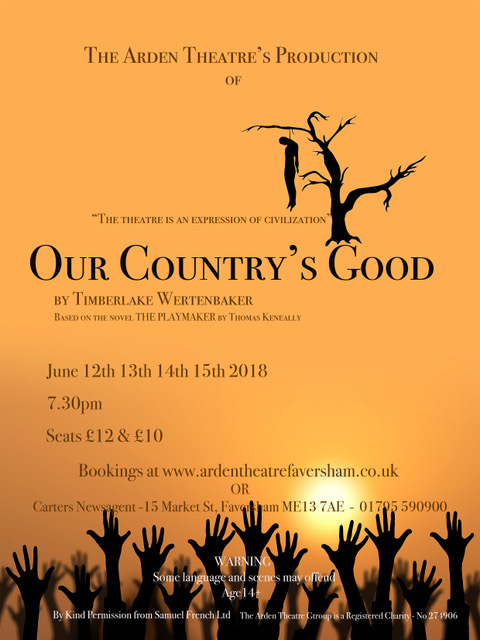 Our Country’s Good, by Timberlake Wertenbaker, is a play that begins in the hold of the vessel Sirius, a convict ship. The ship is on its way to Australia, where the British Empire notoriously shipped criminals to get them away from the British Isles. At the start of the play, convicts aboard the Sirius witness a flogging and speak fearfully about what lies ahead. In Australia, in Sydney Cove, an Aboriginal Australian comments on the arrival of the first fleet and the British Empire’s presence in Australia. At first, he is curious, but that curiosity soon turns to confusion and fear.